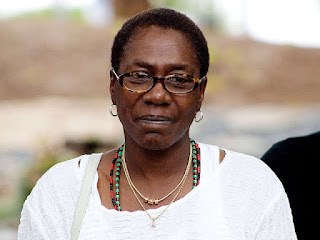 Almost 20 years after rapper Tupac Shakur left the shores of the earth, his mum, Afeni Shakur Davis has now passed on. She died last night due to a possible cardiac arrest at age 69. Her son, Tupac was shot September 7th, 1996 in Las Vegas and succumbed to his injuries 6 days after. His killer was never caught. May her soul rest in peace.